This section contains selected references to publications in English in the field of European art education. Highlighting the ways that digital media can be used in interdisciplinary curricula, Images & Identity brings together ideas from art and citizenship teachers in the Czech Republic, Germany, Ireland, Malta, Portugal, and the UK on producing online curriculum materials. This book offers a practical strategy for ways that these different subjects can be taught. The first part of the book explores issues of art and citizenship education within a European context, while the second part contains case studies of curriculum experiments that can be applied to global classrooms. It will be of great interest to students and teachers of art and citizenship education. Resuls of the CREARTE Project, where InSEA Europe was one of the Partners, a project for experimenting pedagogies based on contemporary art practices in primary schools in Portugal, England, Sweden, Cyprus and Spain. 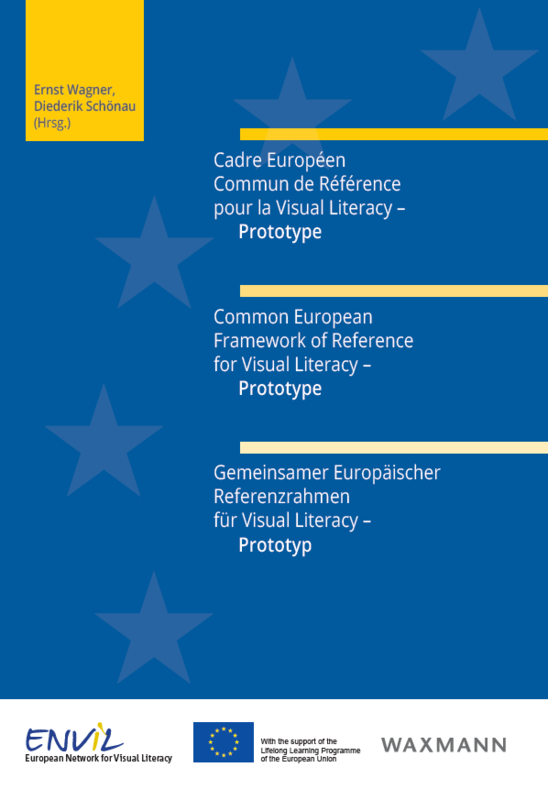 This publication of the "Common European Framework of Reference for Visual Literacy" is the first transnational and European description of the area of learning of ‘Visual Literacy’. The models and concepts are based on empirical research. They have been developed between 2014 and 2016 by subject specialists across Europe and they are an important instrument for the future development of competency-based curricula, the assessment of learning, the construction of tasks, teacher training, and the development of teaching materials. This project was supported by the European Union (www.envil.eu). "Conversations on Finnish Art Education" consists of writings by Finnish, European, and American scholars. It presents international topics that resonate with current issues in Finnish art education. Chapters address what it means to be a contemporary Finnish art educator in a global context. The book also gives concrete examples of international collaborative projects. "Art Education in Germany" is the first overview of art education in Germany ever published in English. It offers a brief historical outline of developments in the field since 1945, followed by examples of topics which have been discussed in German art education in recent years. This collection of articles aims to present the diversity and vitality of a number of approaches: from theory to practice, from tradition to innovation, from analogue to digital, while at the same time considering art, daily life and the individuals involved. The European Network for Visual Literacy (ENViL) presented its research results, the prototype of a Common European Framework of Reference for Visual Literacy (CEFR_VL), at the InSEA Conference in Vienna in September 2016. This document is an instrument to describe and reflect art education practice in specific countries or situations. It was elaborated in a joint development process by more than 60 teachers, experts responsible for curricula, teacher trainers and researchers from 18 European countries. As a reference document, funded by the European Union, it is based on surveys, empirical research, conceptual discussions within the network and at InSEA conferences in Budapest, Canterbury or Melbourne. “It is the first time in InSEA’s history that such a widespread international approach exists”, stressed Carl-Peter Buschkühle, chairman of InSEA’s European board, in Vienna. The Common European Framework of Reference for Visual Literacy (CEFR_VL) delivers a structural competence model of what can be learnt in art education, as well as a model to define levels of competences with respective scales, and manifold examples how the model can be used in different contexts (e.g. to develop assignments, lesson plans, curricula, teaching materials or tools for evaluation). A trilingual glossary (English, French and German) is included.Since its publication in September 2016 ENViL, has started applying the CEFR_VL to different cases, covering a broad range of examples, such as implementing it into a museum for visual art in Belgium, evaluating an art-curriculum in Germany, developing new models of teacher training in Cyprus, creating a new culture of assignments in Hungary and Switzerland, writing an art textbook in Germany, validating the levels in The Netherlands, Hungary and Austria.ENViL is open for new members and invites everybody to subscribe to its newsletter. CREARTE, Creative school Partnerships with Visual Artists, is a project for experimenting pedagogies based on contemporary art practices in primary schools. The project has been co-funded with support from the European Commission ( 2015-1-PT01-KA201-012989), started in 01/09/2015 and will finish by 31/08/2017. Crearte integrates the following partners:Faculty of Fine Arts – University of Porto, Portugal; Cyprus Pedagogical Institute, Cyprus; Ministry of Education and Culture, Cyprus; University of Jaen, Spain; Stichting the European Regional Council of INSEA ( International Society for Education Through Art ) – international NGO; Goldsmiths’ College, UK and BUFF Film Festival, Sweden. Te aim of project is to enhance the quality of RU higher education in creative design by harmonizing the RU Master Programs in Digital Arts (DA) with the EU Master Programs and by strengthening links with business and provide students of 9 Russian Universities with the opportunity to study the Double Degree EU-RU Master Program in Digital Arts both in the Russian and EU Universities. The project is in line with the principles of the Bologna process which aims at creating an European Area for Higher Education through a common new degree system, a European dimension to quality assurance and the recognition of degrees and study periods abroad. Project wider objective is to improve Russian education in Digital Arts and provide mutual degree recognition through development and introduction the Double Degree Master Program. Project specific objective is to develop business oriented MS course in Digital Arts, to harmonize RU Master Programs in direction "Digital Arts" with the EU Master Programs in Digital/Multimedia Arts .The main target group that benefit from the project is students of RU Universities participated in the project who studies in the field “Digital Arts". The second group of the project beneficiaries consists of RU University academic staff involved into the project, and enterprises and companies in demand of DA graduates.In the project INSEA plays a role of non-academic EU partner connecting EU & RU universities with business as well as increase the effectiveness of dissemination of the project’ results in RU & EU via INSEA. The project linked the disciplines of Art and Citizenship education, using digital technology as a means of expression and communication across Europe. It explored ways in which discussion and production of visual images pertaining to identity can contribute to Education for Democratic Citizenship (EDC). The link between art and citizenship education has not previously been investigated in the European context and this is a new area of curriculum development and research. The project trained teachers and teaching assistants in digital imaging processes, platforms and techniques as a medium of cross national communication. Throughout the project, the photo-sharing website Flickr and the virtual learning platform StudyZone (which has now changed to Moodle) were systematically employed to document the action in each country and facilitate sharing of information, visual resources and evaluation.